In our house there are two adults that want to run at parkrun every Saturday and one baby that needs looking after. This week it was Mrs7t's turn to run so I became a marshal for the event. 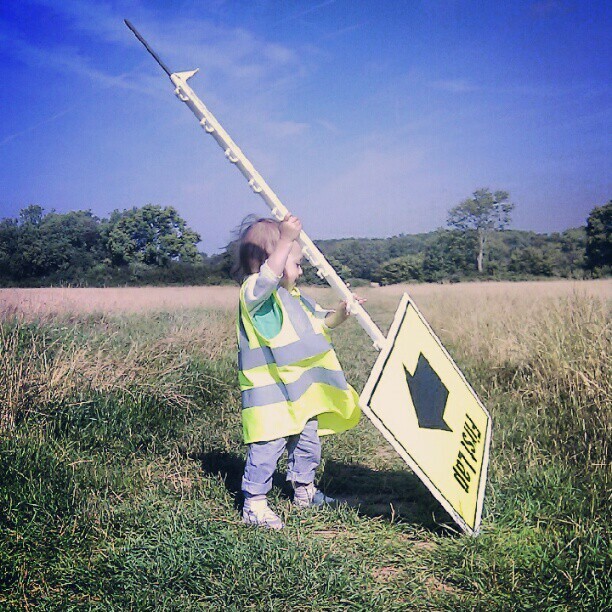 It was my first time as a marshal, I donned one of the communal hi-vis jackets and the baby wore her own baby-sized version. We were posted on marshal point seven - which is the point where on lap one you have to make sure the runners follow the first lap sign and on lap two make sure they all head down the final straight to the finish. Marshaling involves a lot of clapping and a lot of saying 'well done' or 'well run', as well as occassionally pointing any new faces in the right direction. The baby did her fair share of clapping too, which was well recieved, as most runners gave her little wave as they ran past. Everything went to plan and there were no incidents to deal with. After about 40 minutes the job was complete and we removed the direction signs from the ground and headed back to HQ. After the run we went to the Horseshoe for post-run drinks and some socialising. 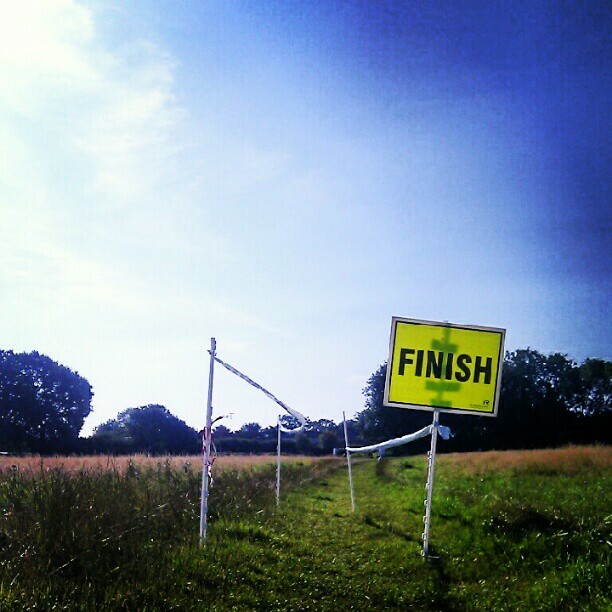 The main discussion was of a potential relay using part of the Riddlesdown parkrun course. I will keep you informed. 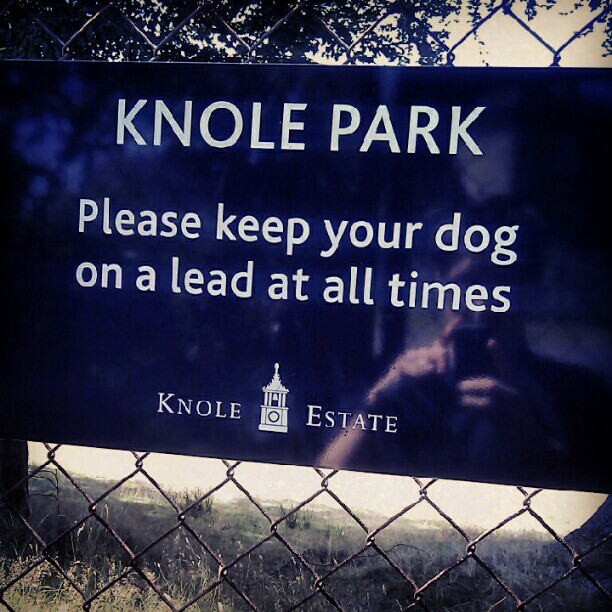 After the parkrun I still felt the need to run, so on the way home we stopped off at Knole park and I completed a very easy paced circular route. It was a lovely sunny day and probably a tiny bit too hot for running in. I don't like running with a bottle of water in my hand but with it being so hot I made sure I took one anyway. 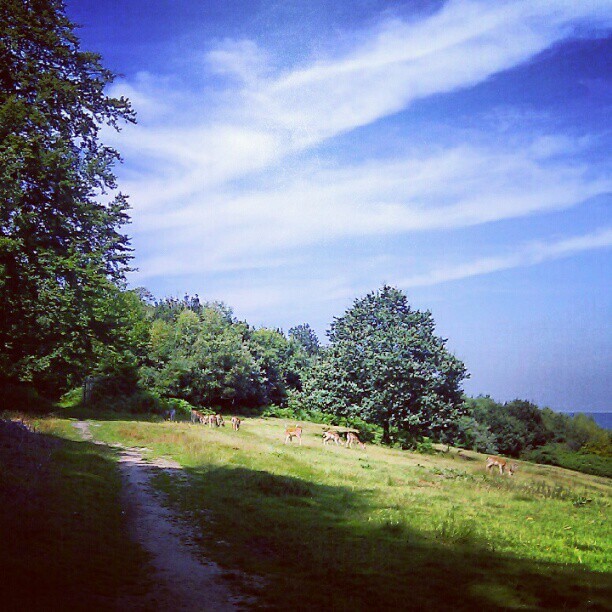 There weren't as many deer visible as there were during my training run in Knole park a few days earlier. I imagine because there were more people around and, in any case, it was probably it bit too hot for them out in the open. About half-an-hour later I returned to my starting point with a slightly sore right calf, which seemed to ease off once I had treated it with some frozen carrot and swede mix.